I have another baby quilt to share with you today! When I first saw this pattern by Yvonne at Quilting Jetgirl, I immediately fell in love. And although I was tempted to make the queen size version, I decided to stick to the baby quilt size. I tried to stay close to the same colour choices as the pattern because I loved it so much, but now that I'm looking at pictures of my finished quilt, I don't think I was as successful with the transparency effect as Yvonne was with hers. Also, I just noticed that I sewed the panel on the right upside down! Oh well! Some of the fabrics I chose are prints and that might be why the transparency effect isn't as pronounced on my version. Also, I went with Kona Cloud (pale blue) as my background because I didn't have enough white. This was a really quick and fun quilt to sew - the cutting does take a bit of time and you really need to be organized to make sure the pieces don't get lost. I liked that sewing this quilt top was like putting together a puzzle! Once again, I chose to quilt this project with wavy lines stitched with my walking foot. For the back, I sewed together nine fat quarters in shades of blue. Some of these have larger prints I have had in my stash for a long, long time and just didn't think I would use otherwise. And to add a nice contrasting binding against the light blue, I went with orange. 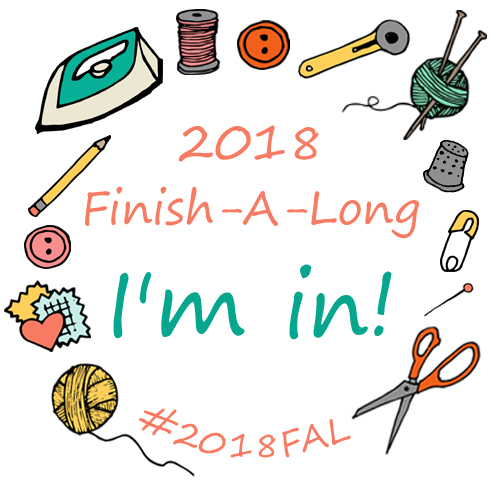 And this is project #1 and finish #2 on my Q2 list for the 2018 FAL! At the end of March, I shared my 1st Albers Inspired Mini and said the plan was to make six of these in 2018. I'm happy to share Mini #2 today. This Albers colour study was all about transparency - you can see how I attempted to create the illusion of transparency with the three different shades of grey between the black and the white. I quilted it with straight lines using my walking foot. I first stitched a few random lines across the quilt and then echo quilted inside the different sections the original lines created. Lots of turning, but the quilt is quite small so not a huge deal. There really was no way to choose a thread that would blend in on all shades of grey, the white and the black so I went with my trusty Aurifil #2600 (Dove). I found a black, white and grey stripe in my stash and used that for the binding - I think it frames the mini perfectly! How about you? Do you have a finish to share? Add your finish below and please don't forget to visit a few people! I'll sharing this finish over at Crazy Mom Quilts for Finish It Up Friday. This is also Project #4 and my 1st finish off my Q2 FAL list! Last year, Shannon from sf Designs launched her Spring is in the Air quilt pattern and I almost immediately purchased a copy - baby quilts are so useful and this design was particularly fun! I used scraps for my version along with some Kona White. I love how colourful it is and it was a pretty quick make. I once again went with wavy horizontal lines with white thread for the quilting. For the back, I used some of the leftover blocks in two columns along with some leftover backing from another quilt. I love that I used every last bit of those fabrics. I will be linking up at Crazy Mom Quilts for Finish It Up Friday and at Pretty Piney for TGIFF. Now that Q2 of the 2018 FAL has officially started (you can link up your proposed list of finishes here), I thought it would be a good idea to look back at Q1 and plan for Q2. I was pretty successful with my Q1 list, completing 6 out of 7 projects. For Q2, the list is a little more ambitious - not sure why, I'm not expecting to have much more time for sewing this quarter, but I wasn't sure what to put on the list, so decided to go with everything! 1. Perspective (Quilt pattern by Quilting Jet Girl) - The top is done and I plan on preparing a back this week. Then quilting is set to begin over the weekend. 2. Pink Lemonade (Quilt pattern by SF Designs) - I pulled my blue and my orange scraps for this one and plan on making the lap size quilt (the twin size if I have enough scraps). 3. Canvas (Quilt pattern by She Can Quilt) - Another top that's finished and waiting for a back and quilting. This one is big - I made the queen size which measures 80" x 80". 4. Albers Mini #2 - This one is the 2nd in the Albers Inspired series I decided to make. You can read about the 1st mini here. I have my design chosen, my fabrics pulled and I started sewing the top. I should have no problem finishing this one before June 30. 5. Layered Diamonds (Quilt pattern by Yvonne Fuchs for Quilt Theory) - I pulled a stack of low volume, neutral fat quarters for the background and plan on using scraps for the coloured squares. 6. Baker Street Bag (Free bag pattern and video tutorial by Sew Sweetness) - With the success of my Aeroplane Bag still fresh in my mind, I really want to make another one. This one has a recessed zipper which I've never done but other than that, it looks pretty easy. I'm planning on using this gorgeous Art Gallery fabric for my bag. 7. 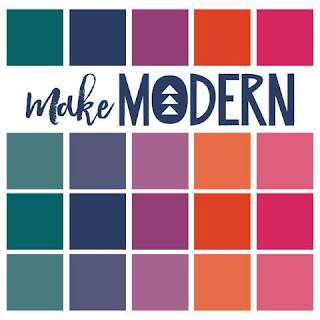 Rick Rack Runner (From the book Modern Plus Sign Quilts) - I participated in the blog hop when Cheryl and Paige launched this book and there are a number of quilts I want to make in that book. This will be the 2nd (I completed Row Addition during the blog hop last month). I will be using mini charms for this project so it'll be nice and scrappy. 8. Promise Ring Backpacks (Bag pattern by Sew Sweetness) - I decided to make backpacks for my grand-daughter Madison and her step-father's little girl Ava. These bags will be useful when we open up the summer cottage again and both girls come over for the weekend. I found the perfect fabric for these and I already ordered the notions and hardware I'll need. 9. Rustic Quilt (Pattern from the book Southwest Modern) - I purchased this book about a month ago and there are a number of quilts in there that are now on my To Make List. First up is Rustic. 10. Cleo Skirt (pattern by Made by Rae) - I'm still working on figuring out how to make myself a top that fits but then I saw this pattern and thought a skirt might be a nice change. I purchased a beautiful Art Gallery print for it and can't wait to get started. And that's it - an even 10 projects. Let's see how that goes! This last Good Friday, on a whim, I decided to make Easter baskets for the little ones. I wanted to make three of them and didn't have much time, so I needed something quick and easy. I found this really good tutorial and, as luck would have it, had the perfect fabric in my stash (that's one of the advantages of having a pretty large stash). I didn't have any interfacing though so quilted the outside of the baskets instead and it worked out very well. How cute are these bunnies?! This one has a bunch of cute little bugs and ducks. The baskets were very well received and one particular little girl was all smiles this morning! 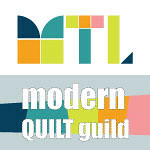 I will be linking up at Crazy Mom Quilts for Finish It Up Friday and at Celtic Thistle Stitches for TGIFF. 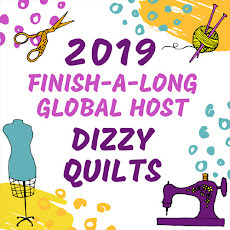 Popping in today for a quick reminder that the Quarter 1 Link Up for all your finishes closes on Monday, April 9, 2018, 11 pm EST. So you still have a few more days to finish a project or two and link them up to be eligible for prizes. The link up can be found HERE or on the blog of any of our current hosts. Please include a link to your original list in each post of your finishes (on Instagram the link is the unique tag #2018FALQ1yourname to be used in the Q1 list post, and in any Q1 finish post). 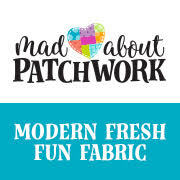 April 4, 2018 - Sandra of Studio Sew of Course and Marci of Marci Girl Designs - They will be sharing a round-up of last year's fantastic tutorials. Finally, we hope you will be joining us for Quarter 2 to do it all over again!! So get your List ready, the link up for Q2 Lists will open on April 10, 2018.